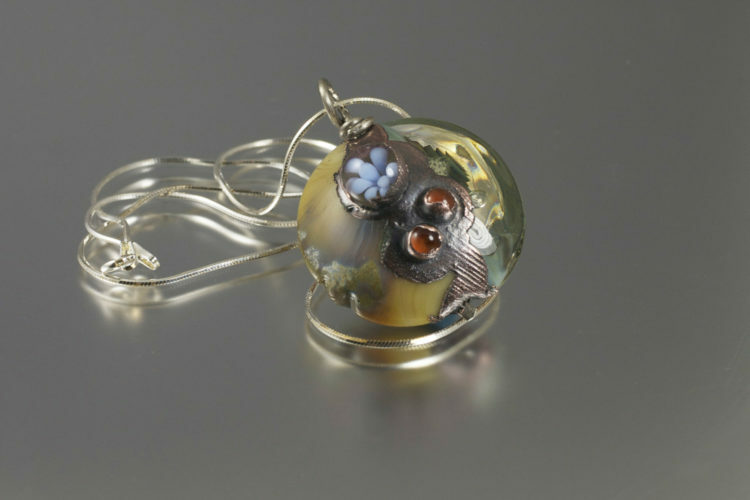 1.25″ across lentil pendant on a sterling silver chain. Digitally annealed and placed on a sterling silver bail. Electroformed copper accents.